The number of daily problems that go away with a good night’s sleep is astounding — but that only happens if you actually do something to improve your sleep. If you just keep things the same, you’ll keep getting the same disappointing results. With this thought in mind, our progressive SRTX technology ensures that every one of our mattresses is comfortable and supportive for the best night’s sleep possible. Every material we use in the construction of our mattresses is carefully sourced and selected for its unique performance characteristics. 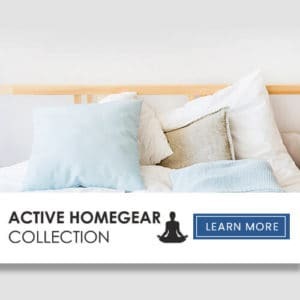 Each mattress in Active Backcare Collection provides extra pressure relief in key areas like the shoulders and lower back, along with precision-cut channels that carry away even more heat and moisture. It’s enough to make you feel like you’re weightlessly resting on a cloud. 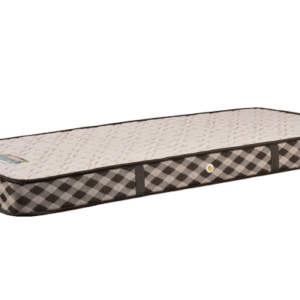 Our foam is also better than traditional memory foam because it recovers its shape faster. Tell your sleep problems goodnight, and say hello to our most advanced mattress. A unique science of compressed granular construction of the active bond material that enhances firmness and strength for added support, long lasting comfort and durability. It also allows fast air circulation and ventilation, thus keeping the body cool and comfortable. Designed to wick away excess heat, these mattresses balance your personal micro climate and keep you thermo-neutral. The mattresses absorb heat and release it when you need it the most. With all season feature, you get a constant comfort zone for your body. Imagine waking up each morning with no pain and increased energy. How would that change the way you approach your day? Would you finally be able exercise regularly? Would you be able to perform better at work instead of constantly feeling groggy and needing another cup of coffee?These mattresses gives you the right support required by your body during sleep while pampering you with the comfort of exclusive quilting. Premium materials ensure it perfectly contours your body and mean’s you’ll never have to face back pain again. nourishing properties of Aloe Vera.